One of the most commonly held beliefs in startups & venture capital is that private-to-private mergers are doomed to failure. It is true that many are unsuccessful. But, in the case of Flurry, their merger with Pinch Media in 2009 was a true game-changer. Prior to the merger, IW was speaking with both Flurry and Pinch Media about a potential investment but were having trouble deciding which to invest in as they were both at a similar size. Then, Flurry CEO Simon Khalaf called me to ask if I’d be interested in investing in the merger of Flurry and Pinch Media. I was immediately intrigued and after a bit more diligence, IW led the merger financing of the two companies. What the merger did was solidify Flurry’s position not just as the leader in mobile analytics, but really as the “standard”. Instead of continuing to compete with each other, the combination of Flurry & Pinch Media instantly created THE default analytics provider for mobile developers on iOS and Android and, as a result, Flurry grew alongside the exponential rise of the mobile app ecosystem. A misconception is that venture capital firms are a collection of individual partners operating largely on their own. IW’s experience with Flurry demonstrates that nothing could be further from the truth. Based on a relationship with CEO Simon Khalaf, my partner Khaled Nasr sourced the investment opportunity. And, because of my focus on mobile, Khaled passed the potential investment to me and I conducted the due diligence, advocated the investment and initially sat on the board of directors of Flurry on behalf of IW. However, when IW’s portfolio company Offerpal purchased Tapjoy and became competitive with Flurry, I had to make the very difficult decision to step off the board of Flurry and pass the seat to my partner Bruce Cleveland. In 2011, IW brought on Keval Desai as a partner. Keval had previously helped build Adwords at Google and we knew that he would be the perfect board member for Flurry. Ultimately, Keval carried IW’s investment in Flurry to the finish line. So, in the end, four different partners at InterWest played a role in our investment in Flurry and I think/hope that the Flurry management team would speak positively of their experience with IW despite the changes along the way. Thanks to Simon Khalaf, Sean Byrnes and the entire team at Flurry for building such a special and important company and for including InterWest in the journey! We wish them the best of luck at Yahoo in their quest to innovate in Search, Ads and Apps on mobile. Ha. I didn't know that Apple tried to shut them down. Great post about how the relationship evolved. Thanks for sharing your insights Doug. It's a shame that Flurry couldn't make it to the IPO in the end, but selling to Yahoo seems a pretty good outcome. The Flurry team spoke of you as their favourite Venture Capitalist, so I'm sure that your help there was instrumental in them becoming as successful as they ended up. 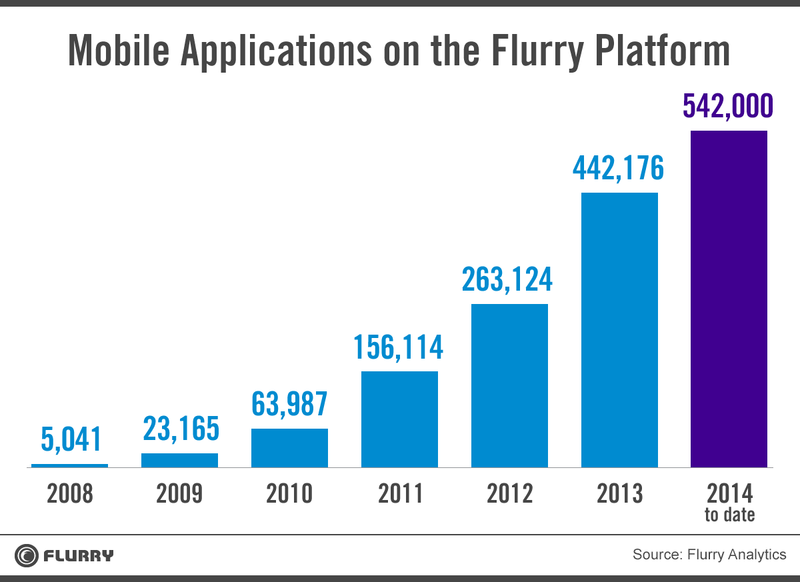 Flurry has gone a long way to end up successful!